Well built , excellent handling catamaran powered by Twin Suzuki 225 hp Four Strokes with extended factory warranty. Only 200 hours of light use. Babied by her owner and looks like new. 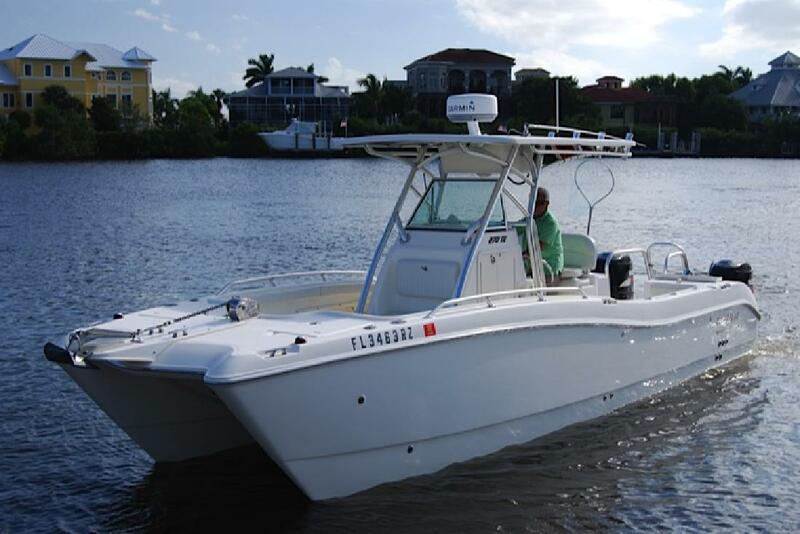 Includes a fctory T-Top with electronics box, Garmin 4210 Color GPS/ Furuno FCV 585 Fishfinder with Radar, Icom VHF Radio, Anchor Windlass with 300 ft of line, Powere assist steering, livewell, fishboxes, leaning post, cooler, dive ladder. Boat is lift stored with no bottom paint.